Anti-Jewish message spray-painted on headstone of Jewish couple in Scottsburg, Indiana. Reward offered for capture of vandals. 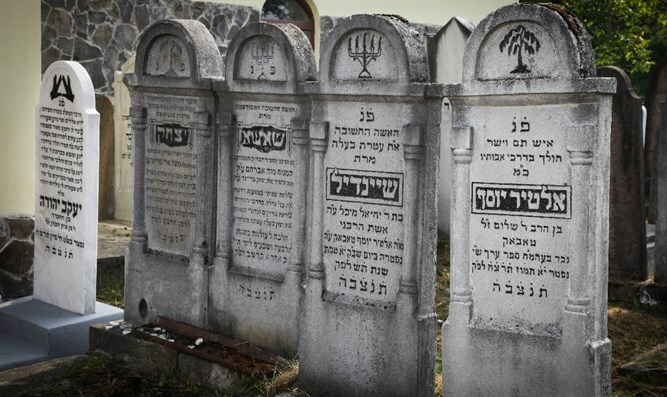 The words F***ing Jew were spray-painted in white across the back of the double headstone, on top of the large Jewish star, in the Scottsburg Cemetery. Two other headstones in the cemetery were later discovered vandalized. On Monday, Gladstein posted a photo of his grandparents’ headstone on Facebook and in less than 24 hours had received 3,100 likes and other emotions. The photo has been shared nearly 15,000 times. Gladstein said members of his family scrubbed away the paint, though remnants remain and the image is seared into his memory. Gladstein has offered a reward that leads to the capture of the vandals.